My friend warned me the other night that people may not be as kind to me as I am to them, especially regarding belief and a lack of belief. Last night I received two e-mails from a Facebook friend who happens to be quite conservative. The surprising thing about this is that we have never exchanged e-mails, and yet it was sent to my e-mail inbox, not my Facebook inbox, leading me to believe that she definitely wanted me to get these messages specifically. I’m assuming it is because I definitely do not hide my feelings in the links that I post on Facebook, and she thought that, perhaps, if I just heard “the truth,” then I might see the light. The two e-mails sent to me were the old “Albert Einstein lays the smackdown on an atheist teacher story, which I feel no need to debunk, as it has been done countless times before by amazing people. Here is one that will cause you to think!!!!!!!!!!!!!! Our families, and especially our children. They are the ones who are going to suffer the most. And, just to make things easier on everybody, I’m going to go ahead and debunk it right now through quotes from the “urban legends” portion of About.com. To read the full article,go here. CLAIM: In June 2007, (then) Presidential candidate Barack Obama declared that the U.S.A. was no longer a Christian nation. Whatever we once were, we are no longer just a Christian nation; we are also a Jewish nation, a Muslim nation, a Buddhist nation, a Hindu nation, and a nation of nonbelievers. Whatever we once were, we are no longer a Christian nation — at least, not just; we are also a Jewish nation, a Muslim nation, a Buddhist nation, a Hindu nation, and a nation of nonbelievers. It’s clear from the context that Obama was speaking of the religious demographics of the country, not, contrary to what some people seem to believe, proclaiming an abandonment of Christian values. STATUS: PARTLY TRUE. 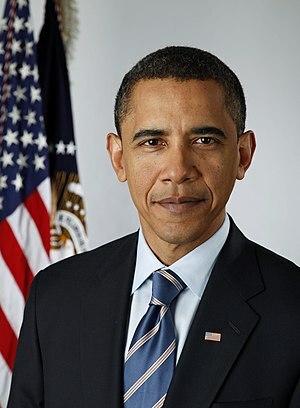 Though Obama issued a National Day of Prayer proclamation on May 7, 2009 per tradition, he broke with a precedent established by the Bush administration by not holding a White House ceremony on the occasion. CLAIM: On September 25, 2009 from 4 am until 7 pm, a National Day of Prayer for the Muslim religion was held on Capitol Hill. STATUS: TRUE. It wasn’t billed as a “National Day of Prayer,” however, nor was it sponsored or promoted by the U.S. government. Described by its creators as a “day of Islamic unity” and featuring Muslim prayers and readings from the Qur’an, the all-day event was called “Islam on Capital Hill.” It was sponsored by a Washington, DC mosque. This is the problem with e-mail forwards: people don’t fact-check before they pass them on. If you ask me, we (atheists) should have our own e-mail forwards to send. Except we would never do that, because e-mail forwards are annoying. Oh well.